With the Arab Spring, the Euro crisis, and mass protests in Russia and the US, the world has become a different place in less than two years. 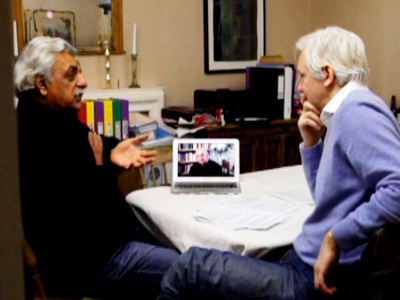 Two prominent public thinkers – Noam Chomsky and Tariq Ali - help Julian Assange make sense of it all. Watch the full new episode of The Julian Assange Show exclusively on RT. The revolts in the Middle East, and protests across the world are all stemming from a profound economic disparity and the feeling of being oppressed by their respective governments, Chomsky and Ali agree. 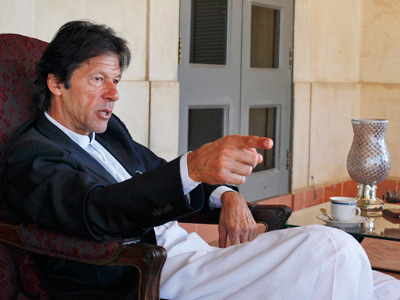 “We are witnessing that democracy is becoming more and more denuded of content. It's like an empty shell, and this is what is angering young people, who feel 'Whatever we do, whatever we vote for, nothing changes', hence all these protests,” Ali said. When it comes to Middle Eastern turmoil, Western powers, who currently dominate the world, try to limit the damage to their oil-exporting dictatorial allies, the liberal thinkers say. “In Saudi Arabia, Kuwait, the Emirates, the major oil producing regions, it never got off the ground. The intimidation of the security forces, backed by the West, was so enormous that people were literally afraid to go into the streets in Riyadh,” Chomsky explained. However, the so-called Arab Spring took everyone by surprise, which resulted in the fall of several key figures in the region. But that would not permanently damage western interests in the region, they argue. “The West – mainly France in Tunisia, the United States and Britain in Egypt – are following a very traditional pattern. There's a playbook that you pursue that gives you a kind of a game plan when some favorite dictators lose the capacity to rule. What you do is support them until the last possible minute, when it's impossible any longer – maybe the army turns against them – you get your intellectual class to issue ringing declarations about democracy, and then you try to restore the old system, as much as,” says Chomsky. But the uprisings do carry important lessons to be learned for all freedom-loving people in the world, not just the Arabs, Chomsky and Ali say. “Sometimes people say: 'But nothing much has changed'. This is true. But one thing that's changed is that the people, the masses, have realized that in order to bring about change they have to move and become active. And that is a big lesson from these uprisings,” believes Ali. On a more global scale, the growing protest movement shows that the current system of world governance is unbalanced, and a replacement should be found sooner rather than later. The answer may be coming from the Latin America, which is experimenting with models which differ from a western state capitalism increasingly running amok. “They're developing models… take Bolivia [for example]. One of the most striking things that's happened there is that the most repressed part of the population in the hemisphere, the indigenous population, has moved into the political arena. It's also happening in Ecuador, and to an extent in Peru. Well, they're developing new and significant models and some of the aspects of those models the West had better pick up pretty soon, or else fall and be over,” Chomsky says.